The network RCTI has announced the nominations for the 6th Annual Indonesian Movie Awards. However, they only announced the nominations for the Terfavorit (Favourite) Awards voted on by the public, and not the Terbaik (Best) Awards which are chosen by a jury of industry professionals. The leader with four nominations was the omnibus film Dilema (Dilemma) directed by Adilla Dimitri, Robby Ertanto, Wulan Guritno, Rinaldy Puspoyo and Robert Ronny. It took nominations for Favourite Actor (Tio Pakusadewo), Favourite Actress (Wulan Guritno), Favourite Male Newcomer (Baim Wong) and Favourite Film. Films with three nominations each were Lovely Man, Sang Penari (The Dancer), Arisan 2 (The Gathering 2), Pengejar Angin (The Wind Chaser) and Tendangan Dari Langit (A Kick from Heaven). 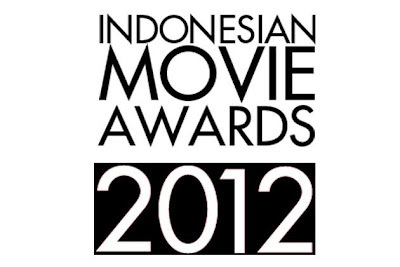 The date and location for the 6th Annual Indonesian Movie Awards have not yet been determined. Cubit Cubitan (Pinch Pinch), "Slank Ft Nirina"
Darah Garuda (Blood of Eagles), "Super K"
Tendangan Dari Langit (A Kick from Heaven), "Kotak"